Ladies, as promised, the Diwali 2017 fashion and jewelry posts are continuing so you can grab relevant style inspos as per your need. 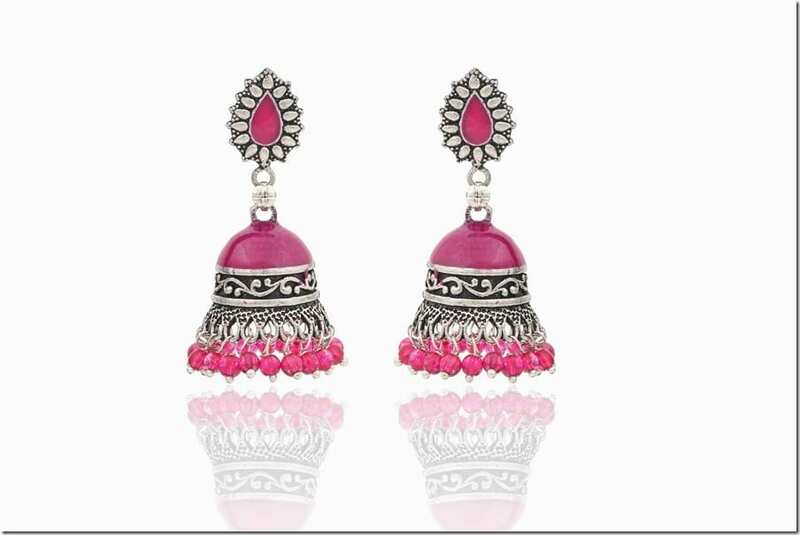 Today’s entry is on earrings and in the spirit of Diwali, I’ve chosen to highlight the PINK jhumka earrings from UniqueGemsStudio’s extensive jhumka ear bling collection. The jewelry shop can be found on Etsy and it’s based in India. Shipping is available worldwide for those with ears located outside of India. 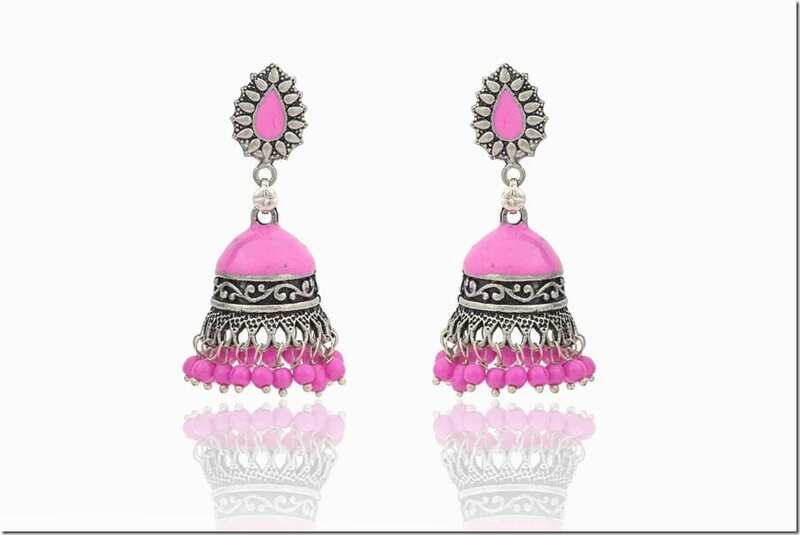 What caught my eyeballs when I saw their jhumkas was how the shop carries them in a diverse vibrant color options so if PINK is not your cup of tea, rest assured you will no doubt score other equally festive jhumka earrings in other eye-catching colors and color combos. With Diwali looming on the horizon, you better be grabbing these PINK ones quick. Why pink, you ask? Well, I personally find the color puts me in high spirit, has a charming flirty aura and will complement your festive Diwali 2017 OOTD too easily as hello, colors are so IN for the celebration, so please give your monochrome ensembles a rest on the proverbial sofa for a bit. 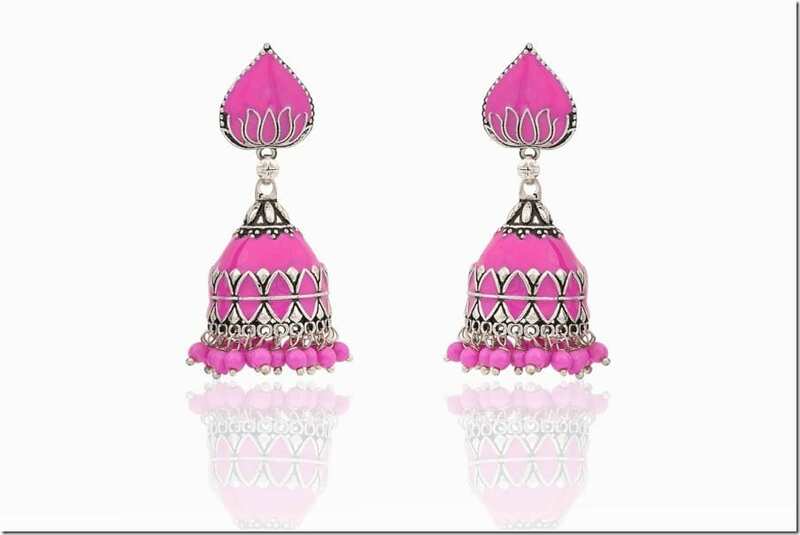 Without further ramble, here’s a list of pink jhumka earrings that await to adorn your festive ear lobes. Enjoy! Which pink jhumka earring style would you love to wear? Share below – I’d love to know! 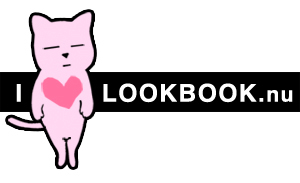 PS: Know any Indian clothing and jewelry label that is awesome and want to have it featured here? 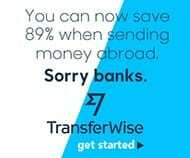 Contact me with details: shanazreverie@gmail.com as I would love to hear from you!